Versatile is excited to announce the launch of a brand new Ultra High Solids Polyaspartic Top Coat – 5097. 5097 has a much lower viscosity than the typical High Solids Polyaspartic which makes it very easy to apply while providing an even longer pot life. 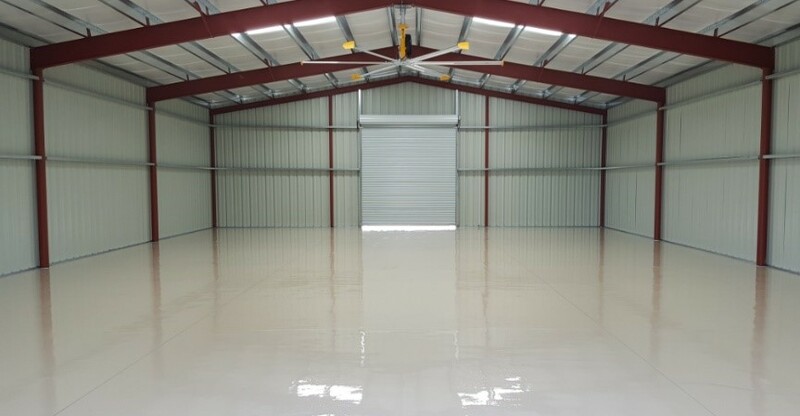 5097 allows for a longer working time on the floor to “back roll” compared to standard Polyaspartic which makes this coating extremely user friendly. The cross linking of the 5097 series film in the cure makes this new Polyaspartic top coat exceptionally tough and durable and 4x more abrasion resistant than standard epoxies. As another added benefit, the VOC levels are below 50 which means less odor while still maintaining a great resistance to chemicals. Maintaining a low odor with a high solid Polyaspartic is rare in the coatings industry. This makes 5097 a great alternative to odor sensitive installs where a tough, high build is desired. The dry time is between 5-8 hours depending on the ambient temperature, allowing you to walk on the floor next day. Please contact our Versatile team with any questions you may have.